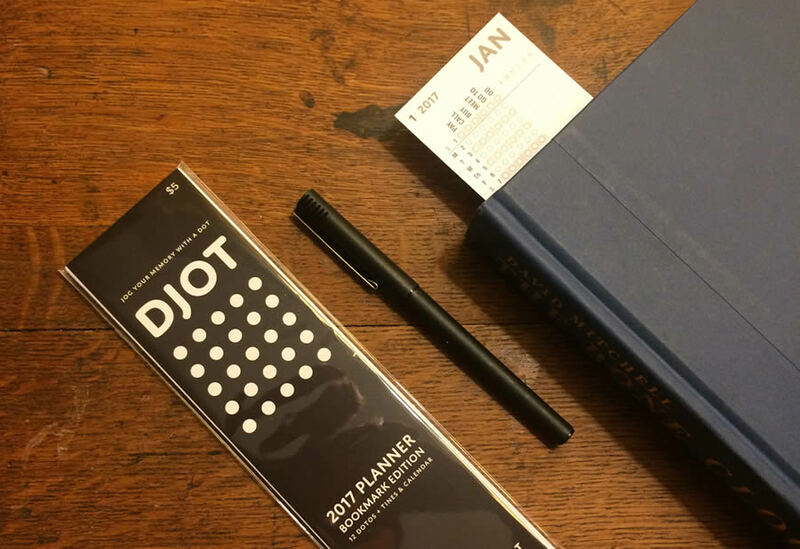 The DJOT Bookmark Planner set is designed for people who'd rather be reading, by people who'd rather be reading. 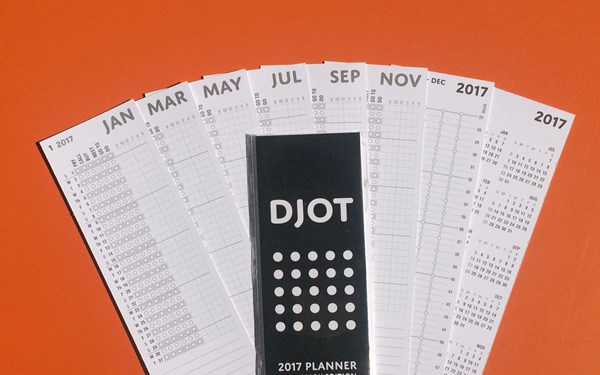 The concept for DJOT (and that's DJOT as in Django) was born when we realized that the closest thing we had to a planning system consisted of scraps of paper used as bookmarks. Why not make this... official? And so we did. The result is this set of 8 bookmarks. 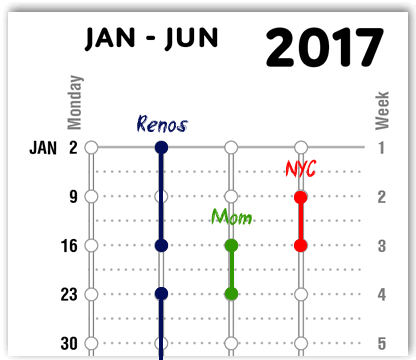 Having decided to use a bookmark as a planner, we developed a, ahem, <em>revolutionary</em> new method of scheduling to-do's as well. 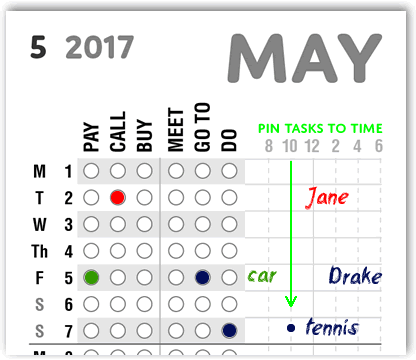 Simply JOT a DOT in the relevant column on the relevant date; often that's all you'll need, though there's room for a bit of detail too. 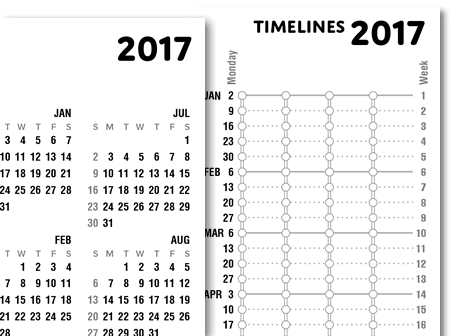 On a roll, we also created Tines, a vertical flow chart that lets you sketch in ongoing projects or plans so that you can make sure they dovetail nicely.